Psalm 94:22 But the LORD is my defence; and my God is the rock of my refuge. (23) And he shall bring upon them their own iniquity, and shall cut them off in their own wickedness; yea, the LORD our God shall cut them off. This is wonderful news and a huge step that the tide has turned against the deep state. The President and real Republicans can now go in the offensive! I sense there is great wailing and gnashing a teeth about to hit the DC swamp. This must be backed by your prayers to break this huge satanic stronghold over DC. Hosea 4:1 Hear the word of the LORD, ye children of Israel: for the LORD hath a controversy with the inhabitants of the land, because there is no truth, nor mercy, nor knowledge of God in the land. (2) By swearing, and lying, and killing, and stealing, and committing adultery, they break out, and blood toucheth blood. (3) Therefore shall the land mourn, and every one that dwelleth therein shall languish, with the beasts of the field, and with the fowls of heaven; yea, the fishes of the sea also shall be taken away. Draining the Deep State, Hard Left , DC Swamp !!! 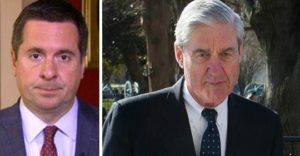 “House Intelligence Committee ranking member Devin Nunes exclusively told Fox News’ “Sunday Morning Futures” that he is preparing to send eight criminal referrals to the Department of Justice this week concerning alleged misconduct from “Watergate wannabes” during the Trump-Russia investigation, including the leaks of “highly classified material” and conspiracies to lie to Congress and the Foreign Intelligence Surveillance Act (FISA) court. 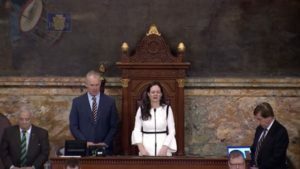 “Resolution Blasts Rep’s ‘Polarizing’ Prayer Declaring Jesus as Nation’s ‘Only Hope’ and ‘Every Knee Will Bow’” Representative Borowicz’s prayer is still shaking the Capital! There is power in the name of Jesus! I’m from Pennsylvania and I intend to call the Rep who is harassing Rep Borowicz for her prayer. I intend to demand that no Muslim be allowed to use the Koran because it is anti Christian because it blatantly denies that Jesus Christ is the Son of God, the blessed Trinity, Jesus died on the cross and was resurrected. If they want a religious war, these Hard Left anti God dems are going to get one. (717) 772-9925; (814) 353-8780 or (570) 748-5480. Rep Kevin J. Boyle is leading the charge. He can be reached at: (717) 783-4944; (215) 695-1016 or (215) 331-2600. Please see my teaching about the Koran attacking Christianity: “The Koran vs. The Bible: The Koran Directly Attacks Christianity.” This will give you ammunition when you talk to this Rep, or anyone, about the Koran. Matthew 24:4,5 And Jesus answered and said unto them, Take heed that no man deceive you. For many shall come in my name, saying, I am Christ; and shall deceive many. “The preacher of Islam then appeared to mock one of the most famous passages from the Bible, John 3:16: “God does not love this world. God never sent Jesus to die for this world. Jesus died because he was 2,000 years too soon to bring about the end of the civilization of the Jews. 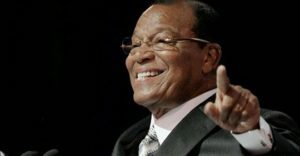 He never was on a cross, there was no Calvary for that Jesus,” Farrakhan said. “Democrat Congresswoman Tired of Republicans Trying to Stop Infanticide: “Oh My God, They Just Will Not Quit” The dems just love to kill. They are like weasels in their desire to kill. Their lust to kill can be easily transferred to those they hate politically which, of course, is us. They really desire their “right” to kill babies in womb now include infanticide. They love to kill. “There are a lot of things in life to get exasperated about. The rude guy who cuts in front of you on the highway, a person who is loudly talking on the phone at a restaurant, or people who chew with their mouth open. 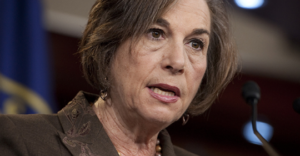 But Democrat congresswoman Jan Schakowsky is exasperated about the fact that Republicans continue to push for a vote on a bill to stop infanticide. “61-Year-Old Mother Births Baby as Surrogate so Her Homosexual Son and His ‘Husband’ Can Have a Child” What a mockery of God’s family structure. This was revolting to read. According to reports, Matthew Eledge, 32, and Elliot Dougherty, 29, had talked about in vitro fertilization (IVF) as an option. 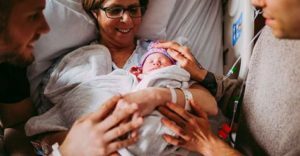 When Eledge’s mother, Cecile Eledge, then 59, offered to be the surrogate, they laughed at first. The elder Eledge went through a series of tests to see if she would be capable of carrying the child, including a stress test and Pap smear, and underwent estrogen treatments after being confirmed. “Left-wing cities going LAWLESS as Boston orders police to stop arresting criminals for breaking and entering, destruction of property or shoplifting” You watch: the next step will be to prosecute anyone who uses a weapon in defense during these crimes. This is exactly the way the Europeans are. If you use the weapon against a criminal, you go to jail. The Hard Left mind is the same whether it is Europe or America. “Leftist policies are reaching new levels of insanity in Massachusetts, as Suffolk County DA Rachael Rollins pushes her highly contested “no-prosecute” list into action. 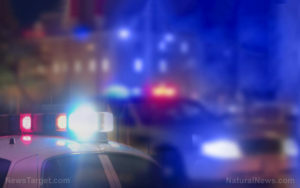 The “list” gives a green light to a number of arrest-worthy offenses — including trespassing, shoplifting, disorderly conduct, and “wanton or malicious destruction of property.” In other words, local law enforcement is being directed by the district attorney to stand idly by while miscreants steal and destroy property. The directive from Rollins also orders police to refuse to cooperate with ICE in the arresting of illegal immigrants at the courthouse — no matter the severity of their crimes. What could go wrong? This devastating disaster received little attention, nut it isn’t over with more on the way. 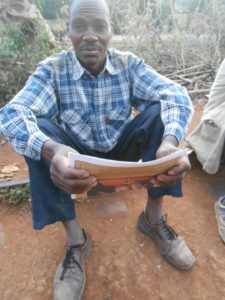 Because of the magnitude of the disaster, food prices are about to rise and maybe dramatically. 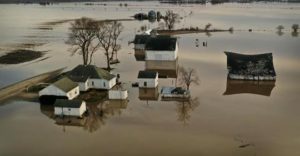 “Three weeks ago, a highly unusual weather event hit the heart of America—an extremely rapid pressure drop that meteorologists call a “bomb cyclone.” It swept through the central United States, from Minnesota to Texas. The hardest-hit states suffered fierce winds, heavy snow and rain. After an especially cold winter, the earth was frozen and encased in snowpack. 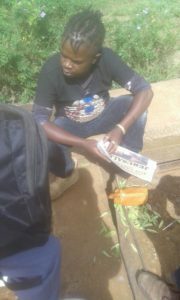 The ground was thus unable to absorb the moisture, so the rainfall swiftly turned into flooding. Unprecedented, catastrophic flooding. kindly require for you to send us more Box? Father God..shake Heaven and earth with Your righteous decree and law.Bring the evil one’s to the place they planned for the Godly.Open court on the wicked in every arena.Bring the demoncrat/commie in our midst to the place where they lose and are stopped cold because the righteous stood up,bathed in prayer.We act in total faith because You are God,not fara-con,the libsters,or the reprobate.Show the world You mean business.Protect the innocent and children..and give the pervs their reward.Embolden the true patriot,and Christian.Weed out the false christian..and the pretender patriots who vote with their pocketbook. Brennan’s picture is missing at the ‘hotel with bars’.If he was there too..he could get a free copy of the koran..because his is probably getting worn out.